IHG® Rewards Club - Filmes - Safe at Home! 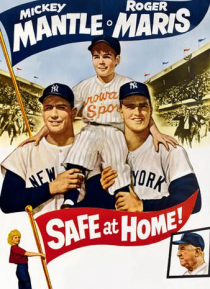 Having recently moved to Florida from New York, Little Leaguer Hutch (Russell) tries to impress his new teammates by claiming that his widower father is a chum of Yankee superstars Mickey Mantle and Roger Maris. Backed into a corner by his lie, Hutch is then called upon to produce the Yankee sluggers or face humiliation.